On Highway 126 between Redmond and Prineville is the small rural community of Powell Butte. Consisting largely of acreage properties with small ranches and farms, Powell Butte is also home to Brasada Ranch Resort. Our advanced search below will give you the most up to date MLS listings for Powell Butte real estate, as well as photos and amenities. We have Premier Brokers who specialize in the resort community of Brasada Ranch and the surrounding Powell Butte community who would love to help explore this area. Read More about Powell Butte real estate & lifestyle. Located just minutes east of Redmond and 20 miles from Bend, Powell Butte is a private oasis away from the hustle and bustle of busy city life. From stunning acreage ranches, to quaint cozy homesteads, many people move to Powell Butte to get their own piece of this rural lifestyle. Another big draw to the area is the multitude of outdoor activities including hunting, fishing, skiing, hiking, and biking. 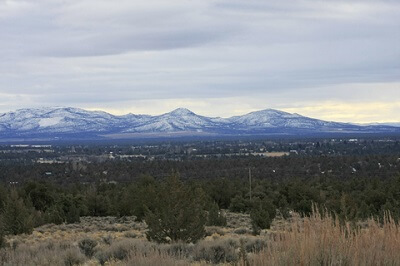 All this with some of the most stunning views of the Cascades from anywhere in Central Oregon. Also part of Powell Butte is the upscale development know as Brasada Ranch. This Destination Resort is recognized for its luxurious accommodations, championship golf, fantastic spa, 17,000 athletic center, restaurants, and equestrian trails. 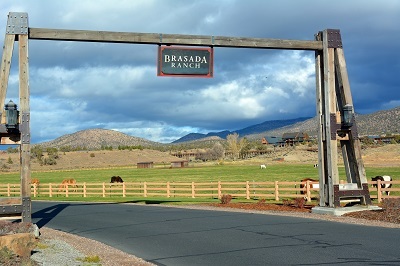 Brasada Ranch was named "Community of the Year" in 2007 by Builder Magazine, and "Oregon's Best Destination Resort" in 2012 by the Oregonian. Just a short drive east of Redmond, Powell Butte offers many options for acreage or resort living. One popular choice is the luxury resort community of Brasada Ranch. Many of these fine homes in Brasada Ranch offer panoramic Cascade views as well as common areas around home sites allowing for additional privacy from neighbors. From golfing to dining, Brasada Ranch has something for everyone. Powell Butte also offers many types of acreage properties including the gated community of Powell Butte Estates. Many of these parcels are 5 to 10 acres and boarder BLM land. Homeowners in this neighborhood can have space for their horses and ride right out of their back gate for miles of fun on BLM trails. Finally, Powell Butte has many M&B farm parcels at all price points around the area. Many of these parcels can be 40+ acres for the farmer searching to grow crops or just have some space. Powell Butte has a K-8 charter school in the city boundaries, but both middle and high schools are in Prineville. However, the residents of Powell Butte helped to start this K-6 nonprofit charter school in 2010 with 146 students, and now are up to 186 students with the addition of 7th and 8th grades. The Powell Butte Community Charter School has a mission to “develop the ability to think critically, communicate effectively, and excel academically." Although the high school is in another town, Crook County High School test scores rank considerably higher than the district averages for math, English and science.